A reorganization in how the state provides medical care to thousands of inmates will not save the state money this year as promised. Instead, it will cost millions more. 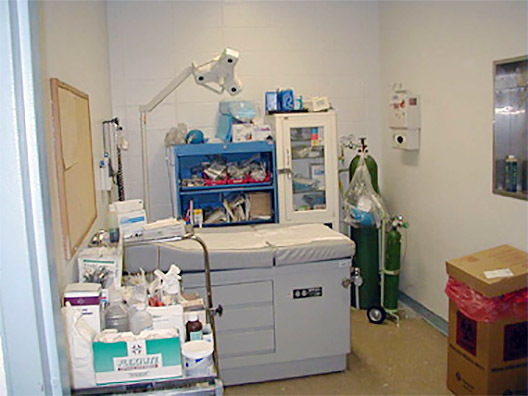 A medical exam area located within the Bridgeport Correctional Center. 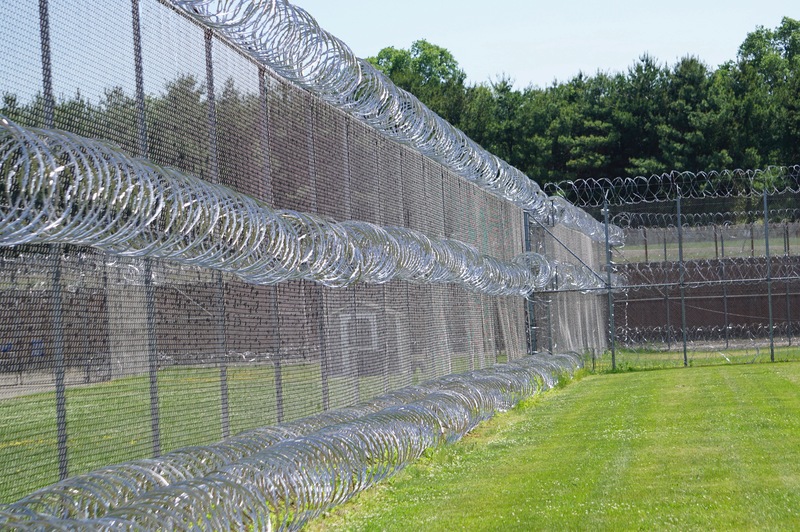 The Connecticut Department of Correction took over managing health care for the 14,000 inmates in its custody last July after UConn Health informed the state it couldn’t sustain any more budget cuts without further sacrificing care. State spending on inmate health care has dropped for years – going from $107 million to $80 million since 2008. To make up for cuts in the past, UConn reduced staffing for inmate care and cut pharmaceutical and medical supply budgets, though UConn officials said that was not related to a reduction in need. Facing another round of cuts – and as concerns from legislators and civil rights groups mounted about the lack of oversight for inmate health care – the correction department took over managing health care. Scott Semple, commissioner of the department of correction, said at the time that he was confident he would be able to cut spending by another $8 million and improve care. On Tuesday, he told the legislature’s Appropriations Committee that he was wrong. Instead of saving $8 million on inmate health care, his agency is set to spend $7 million more than last year, the legislature’s nonpartisan fiscal staff report. “We have made every effort to work within the budget allowed to the agency, however, realizing the substantial reduction in appropriations over and above the current services provided while maintaining the integrity of our mission and the safety and security of our staff and facilities has proven to be challenging,” said Semple. The increased spending is the result of unforeseen startup costs and hiring delays, leading to high overtime costs as the department struggles to attract qualified medical staff. Rising health care costs also is a problem, he said, pointing out that nearly half of those incarcerated are over 40 years old. Delays in soliciting private providers to help deliver certain services also has caused problems controlling costs. Solicitations for pharmacy services, diabetic care and other medical services were released late last month. “Transition from UCOnn to DOC will take some time and may entail costs, making achievement of overall savings unlikely before the next biennium,” he said. Semple, however, announced he is not seeking to stay on as commissioner when Ned Lamont takes office as the next governor in January. Semple did say, however, he will happily help the next administration, adding that the recent rollout of electronic health records allows the department for the first time to systematically review how it is delivering health care. “We are really working hard to develop a quality assurance metrics,” he said, noting it should be ready by January. The Connecticut Office of the Attorney General over the last 10 years has logged more than 1,000 complaints and lawsuits from inmates about the health care they did or didn’t receive, or about inadequate accommodations for their medical conditions. It is hard to draw conclusions about whether these indicate systemic problems, however, because the state does not track in any searchable way the resolution of the complaints and lawsuits. It also makes it incredibly time consuming to determine if there has been an uptick in allegations. It will be the next administration’s job to close the agency’s $15 million anticipated deficiency before the fiscal year closes July 1. The Lamont administration could choose to to further reduce spending on inmate care or draw funding from elsewhere in the state budget. Jacqueline Rabe Thomas Jacqueline won two first prizes from the Education Writers Association for her work in 2012 – one in beat reporting for her overall education coverage, and the other in investigative reporting on a series of stories revealing questionable monetary and personnel actions taken by the Board of Regents for Higher Education. In 2016, she was a finalist in the EWA competition for single-topic coverage for her reporting on how schools are funded in Connecticut. Before coming to The Mirror, Jacqueline was a reporter, online editor and website developer for Southern Maryland Newspapers. She has also worked for Congressional Quarterly and the Toledo Free Press. Jacqueline received an undergraduate degree in journalism from Bowling Green State University and a master’s in public policy from Trinity College. She and her husband, two sons and two dogs live in Hartford.